1. In a large, deep skillet, heat the olive oil. Add garlic and red pepper and cook over moderate heat until the garlic is golden, about 1 minute. Add the tomatoes and saffron and cook over moderate heat until the tomatoes just begin to soften, about 5 minutes. Add the oregano and season with salt & pepper. 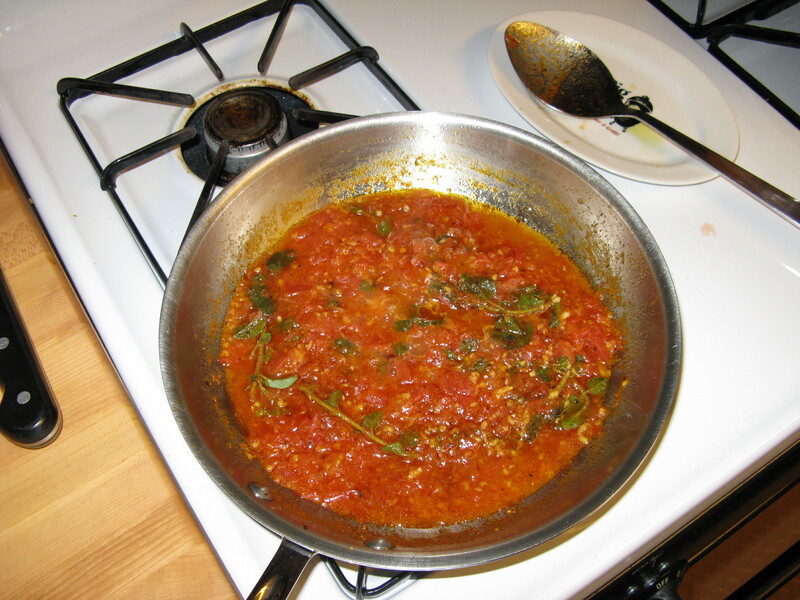 Cook the sauce over moderately low heat, stirring and crushing the tomatoes with a spoon, until the sauce is thickened and the liquid is reduced, about 25-30 minutes. Remove and discard the oregano. 2. 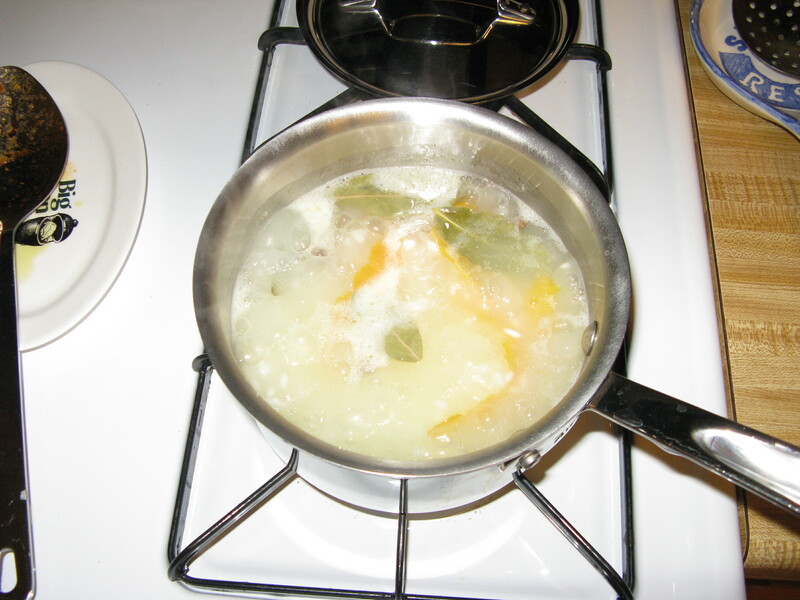 Meanwhile, in a large pot of boiling salted water, combine the orange zest strips, bay leaves, cloves, rise and 1 T. of olive oil and cook until the rice is al dente (according to rice package instructions, adding necessary water), 15-18 minutes. Drain the rice, discard the zest, bay leaves and cloves. I just spread the rice out on a plate to remove these items. Return the rice to the pot. Add the remaining 1 T of olive loil and season with salt. I also added 2 T. of butter to mine. 3. 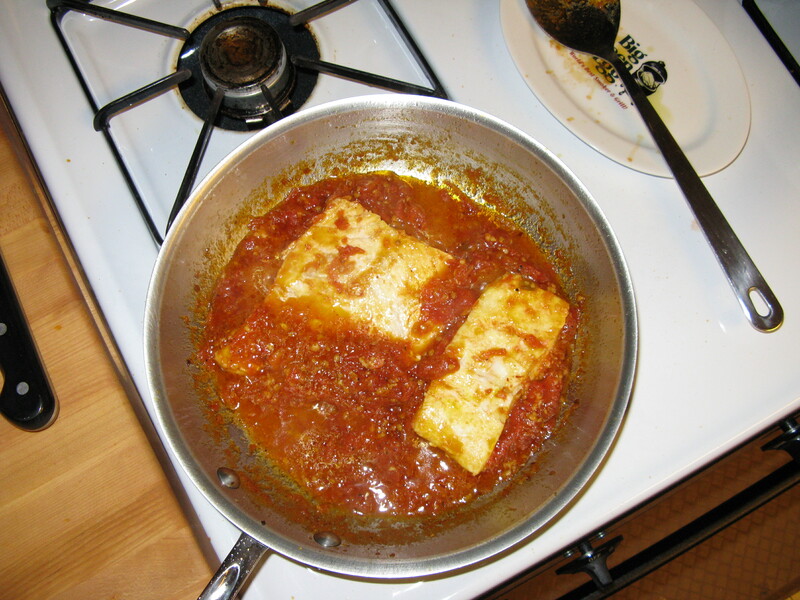 Nestle the code into the hot tomato sauce and cook, turning the fillets once, until opaque, about 12 minutes total. 4. 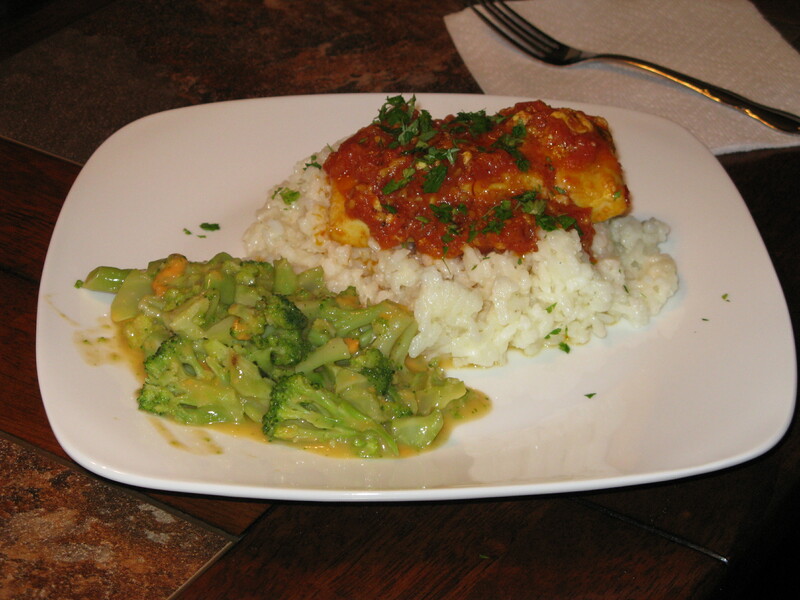 Spoon rice into bowls and top the cod with remaining sauce. Sprinkle with parsley. I thought my rice had a strong orange flavor. I think the next time I prepare this delicious, nutritious meal – i will decrease the amount of orange zest. I served my with broccoli and cheese sauce.